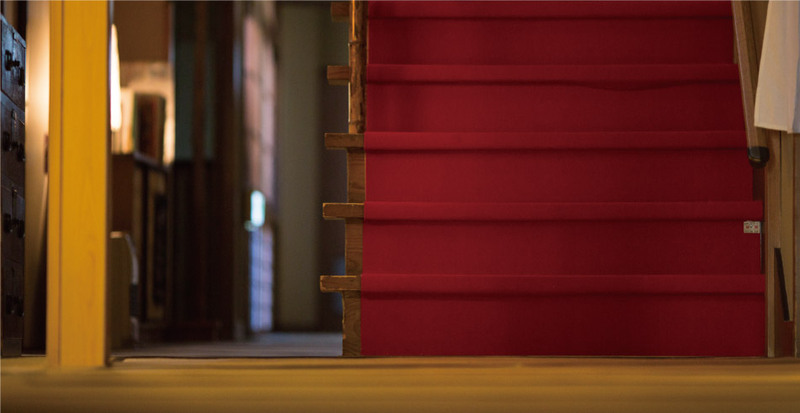 Located in Gujo Hachiman, Oku-Mino, Nakashimaya has been in business for over 140 years. We continue to serve our guests, as we always have, with honesty and sincerity. 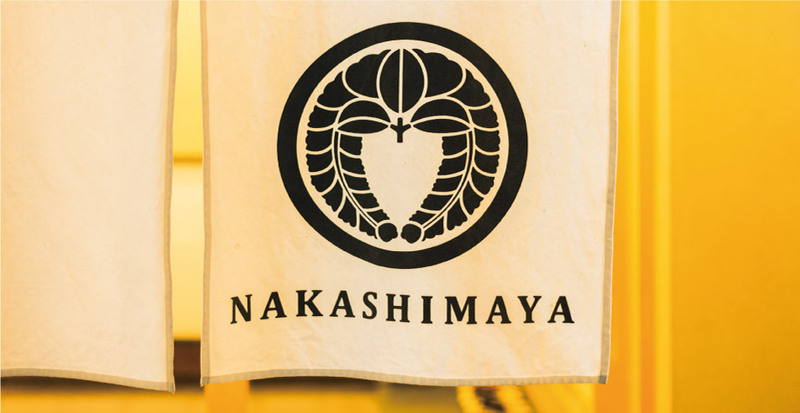 Nakashimaya is a place to feel at home and close to your heart every time you come. "That really was a great town." Our whole staff is looking forward to seeing you. for the town of Gujo Hachiman. You might think upon first arrival there is nothing much here in the deep mountains. That will change once you visit here. 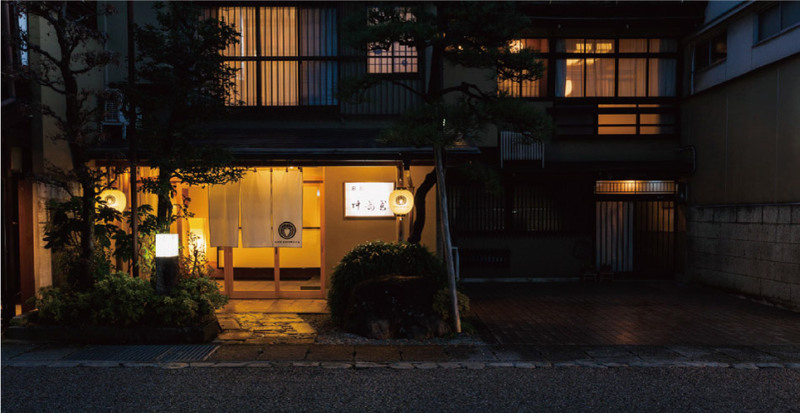 Gujo Hachiman is full of delicious food and beautiful sights on every corner that you come across. Enjoy a night out visiting some of the locals’favorite restaurants and bars. We have eight authentic Japanese style rooms with a tokonoma. To ensure a comfortable stay, we usually limit the number of guests at the Innt to 15 to 20. (Max. 30 guests). Please let us know the size of your party so we can place you in a room that will accommodate your needs. Feel free to ask us any questions about room allocation. We use M-mark series, eco-friendly additive-free items by Matsuyama. Please take turns to use the bathrooms. You can enjoy a relaxing private bath time with your family and friends as you like. Morning baths are also available. Enjoy the feeling of hot spring in this rock bath. Solidly built with Japanese cypress used for the walls and ceiling. Choose from these these two types to suit your mood. We had a skilled local craftsman make this bathtub, using local wood, a popular material for traditional Japanese baths. Every morning, we bring you breakfast to your own room. This hasn't changed for the last 140 years. People often say that's rare today. 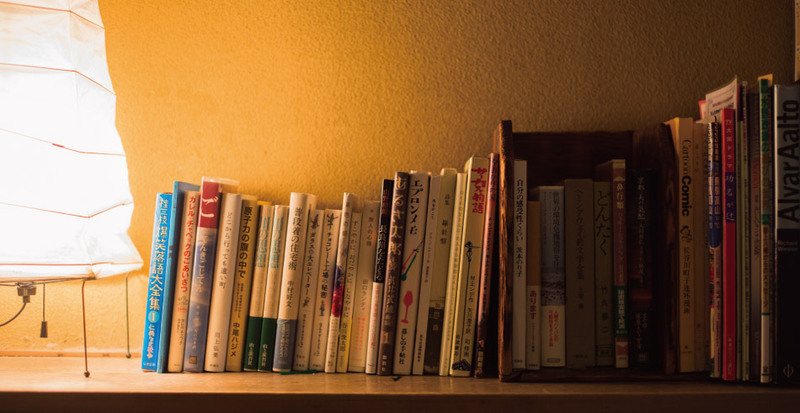 Yet, we believe it's fundamental to a Japanese ryokan's hospitality. We hope after you stay with us once you'll know what staying at a real Japanese ryokan is all about. * Depending of the number of your party, we will arrange a private room for breakfast. A great holiday includes a night out in town! Gujo has many great places you'll want to visit again and again. Gujo ayu (fish), Hida beef, Kei-chan chicken, charcoal-grilled eel, craft beer, and cafes are all available at night. All the while, above you shines the white castle in the moonlight. KIYOTAKEEnjoy a night of Gujo's chaos with owner Ettsu-chan's homemade dishes and a chat with her. WAKABAExquisite barbecue with a special secret sauce. Kei-chan chicken is also great as a souvenir. 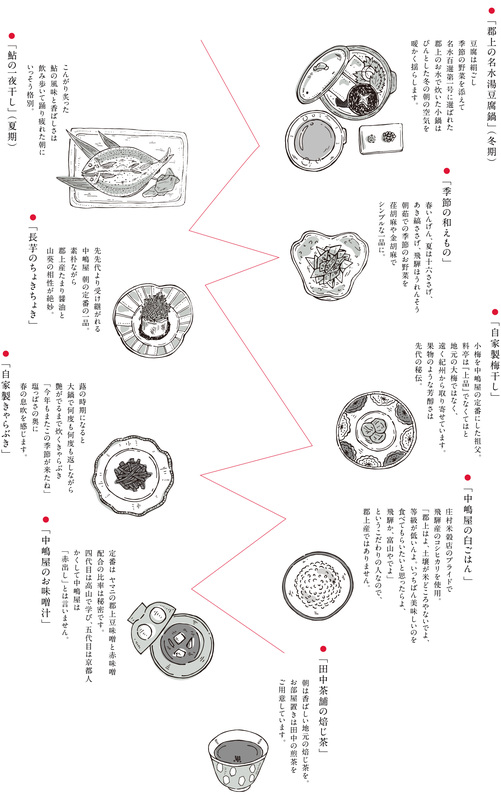 DAIHACHISeasonal food from the rivers and the mountains. Ayu fish in summer, and wild boar in winter! IZUMISAKAChoose anything from Hida beef on a hotplate to grilled Gujo leeks! Restauro SympaHand-picked wine served with casual Italian. AMANOYAIzakaya bar with various spirits and homemade tofu. Don't forget handmade udon noodles too. GENRINGreat food and drinks at reasonal prices. Come mingle with local crowd. IZUMIYAGo for some great soba, or order Chinese noodles like a local! KATAGIRIEat this crispy yakisoba, and become a Gujo local! ITOCAFEOld machiya house cafe where the young and old gather. Open late at night on Fri · Sat. eBaNATAwHome roasted Otohime blend is popular. Late night cafe on Thursdays. TIROLold japanese style cafe with home roasted blend. SHIMIZU COFFEEA Retro cafe with Beautiful garden. UOTORAFamous for its superb charcoal-grilled eel.Special price Hitsumabushi on the 7th, 17th, and 27th of the month. KOBOKOBOBeer brewery in the machiya basement! Takeout available. SUZUME no IORIExcellent Italian made with local foodstuffs. Old Japanese mansion atmosphere. We will gladly make dinner reservations for you. Please ask us about local restaurants for their hours and accommodations. We are happy to help you find the best match for your needs and preference. SPEC: 20 inc/10.5 kg/ 8-gear change / Red and olive, one each First come, first served.